Ever since President Trump announced that the United States would be withdrawing from the Paris Climate Agreement, cities, states, and businesses across the country have been roused to action, forming alliances and recommitting to their climate goals. TruexCullins is no stranger to this movement. Our experience with sustainable design includes net-zero energy homes, LEED Certified buildings and interiors, and projects that feature solar PV, geothermal systems, and high-performance envelopes. But while these are all vitally important pursuits, they only tell part of the story. The real key to unlocking a sustainable energy future is understanding how all the components of sustainable design fit together and how we can leverage those synergies to advance positive change. 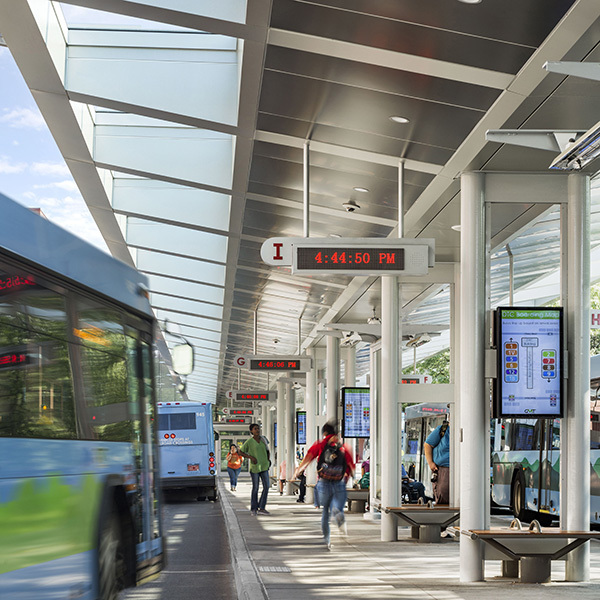 Last fall we celebrated the grand opening of the Burlington Downtown Transit Center. Many of you have now experienced for yourself the great improvement that has been made to the formerly dilapidated and confusing cluster of bus stops on Cherry and St. Paul Streets. The new transit center makes it easier, safer, and more comfortable for Vermonters to drive less and fully embrace public transit. The facility boasts an indoor ticket window, a covered platform with seating, public bathrooms, and digital LED signage. Bus drivers also enjoy expanded support space on the lower level. 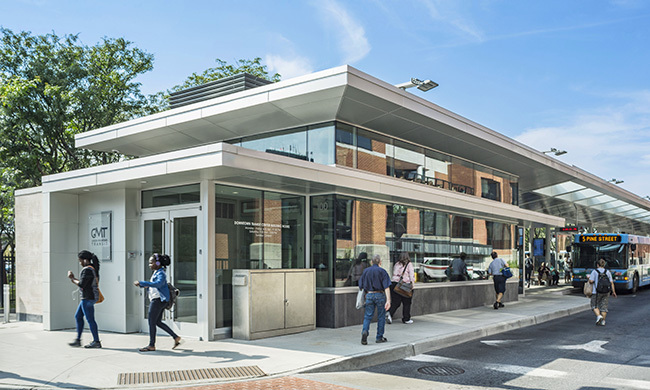 The Transit Center is notable not only for its own sustainable building features, but even more so for how it fits into a broader climate strategy. It is an example of a green infrastructure project that Burlington needs to support downtown living and grow into a more sustainable city. In a new book released this spring, notable environmentalist and business leader Paul Hawken lays out the top 100 solutions to address our climate crisis. The book is audaciously titled: Drawdown, The Most Comprehensive Plan Ever Proposed to Reverse Global Warming, and includes a clear description of the top initiatives in categories such as Energy, Buildings, Food, and Transport. Each solution is ranked according to its carbon impact, measured in reduced emissions or sequestered carbon dioxide, and the relative costs and savings through the year 2050. It soon becomes clear that each initiative is not just an isolated project, but part of an interrelated strategy. As is true in nature, the systems in our built environment are highly interdependent on each other. In the case of the Downtown Transit Center, the importance of this project is in how it opens the door to even greater impacts around it. People of all ages are increasingly looking to live downtown, where a more car-free lifestyle is possible. Urban projects that allow people to live, work, and play without reliance on a car decreases our carbon footprint and leads to more active and livable communities. The Transit Center helps provide this opportunity for more people. At first blush, growth itself may seem antithetical to environmental conservation, but smart growth can actually decrease our environmental impact on a per capita basis. In Burlington, increasing development in our downtown core is key to the feasibility of the planned District Heating System. District Heating comes in at #27 on the list of the top 100 solutions by Project Drawdown. The Drawdown website explains how it works and the potential reward. The Burlington District Heating System will tap into the McNeil Generating Station and provide more efficient heating for a large part of our city. It is estimated that this system could reduce the City’s total carbon footprint by approximately 20%. What this all means for Burlington is a 1-2-3 punch to climate change: Improving Burlington’s public transit system; promoting compact mixed-use development; and implementing the McNeil district heating system are all key components of the city’s Climate Action Plan. With these initiatives, the city should be on track to meet its goal of being a net-zero energy city within the next 10 to 15 years.